Evergreen shrub. Slow growth. Bushy mounded shape. 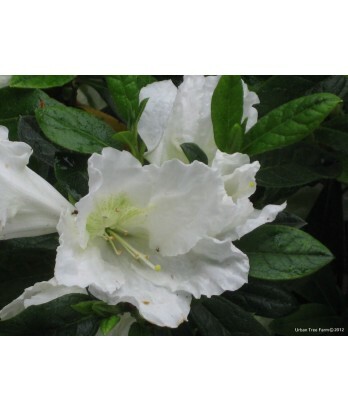 Attractive larger azalea. Semi-double white flowers. Blooms in April. Regular water needs in well-drained soil once established.